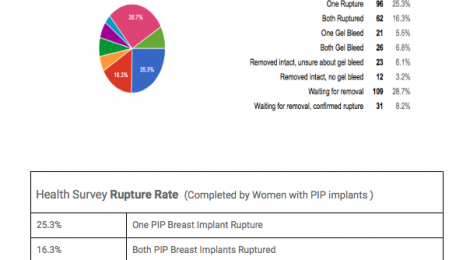 Browse: Home / What is the PIP implant rupture rate? Following PIP Action’s Complaint to the EU Ombudswoman, the European Commission agreed to initiate a Call for Information to review the mounting evidence of the harm and dangers of PIP implants. In September 2016, PIP Action Campaign compiled a catalog of 78 full-text peer reviewed case reports and research and submitted them to the SCHEER review on behalf of members. On Wednesday 26 October 2016, PIP Action Campaign submitted more evidence for review: the Real World Evidence from PIP Action Campaign members. This document has been sent to Commissioners with responsibilities for Health, Consumer Protection and Justice as well as the First Vice President who has responsibilities for better regulation, the Rule of Law and the Charter of Fundamental Rights. PIP Action Campaign members have provided valuable real world evidence in the form of responses to Health Surveys and with personal accounts and experiences validated by their health professionals and by their medical records. Women have spoken about the injuries and trauma they are suffering and of the concerns they have for themselves and for their PIP exposed children. The Scenihr Committee published its final opinion on the evolving PIP health crisis in 2014. It concluded banned PIP implants are not toxic, not linked to cancer do not pose any significant risk to women. 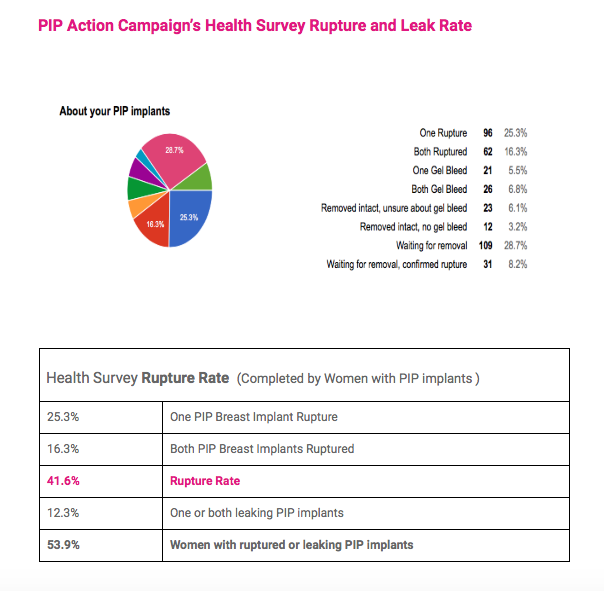 The 78 peer reviewed texts submitted by PIP Action Campaign provide clear and unequivocal evidence of the widespread injuries and trauma associated with PIP implants. Our Real World Evidence demonstrates injuries and illness with clear causal links to toxic and carcinogenic chemicals in PIP implants. Links to PIP Action Campaign submission in response to the SCHEER Scientific Committee Call for Information and Members REAL WORLD EVIDENCE will be available soon. 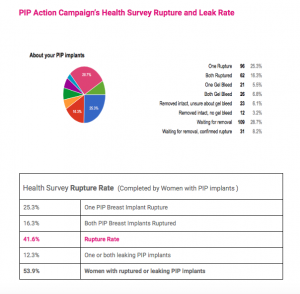 Women are still living with ruptured PIP implants and over a quarter of the women are still waiting to get their leaking PIP implants removed. The PIP health crisis is not over.